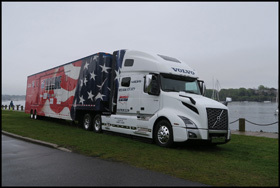 The new Volvo VNL 760 will be used by America’s Road Team Captains to haul the ATA Interstate One mobile classroom. 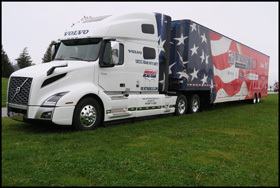 The 53-foot show trailer, which is equipped with a conference room, seven presentation screens, a truck driving simulator and educational displays enables the Captains to deliver interactive trucking demonstrations on safety and the importance of trucking on daily life. 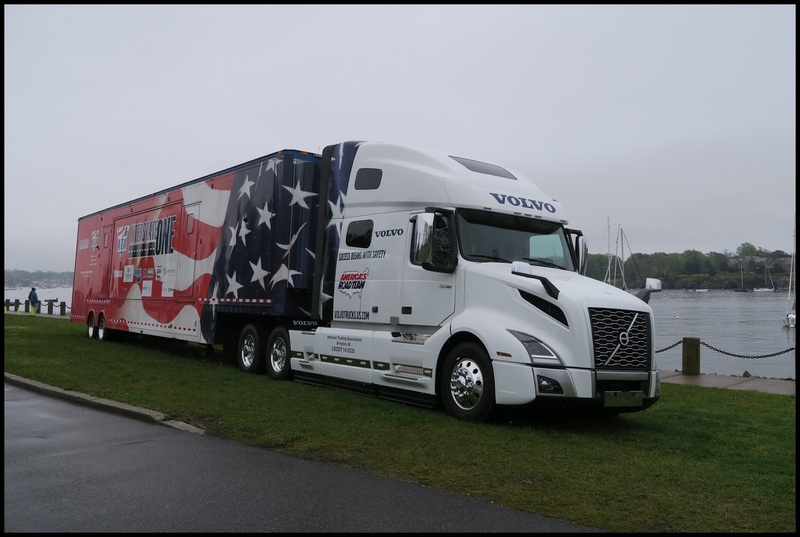 After the ceremony, the America’s Road Team Captains spent time familiarizing themselves with their new VNL 760 model, equipped with active safety technologies like Volvo Active Driver Assist with Bendix Wingman Fusion fully integrated into the Driver Information display. 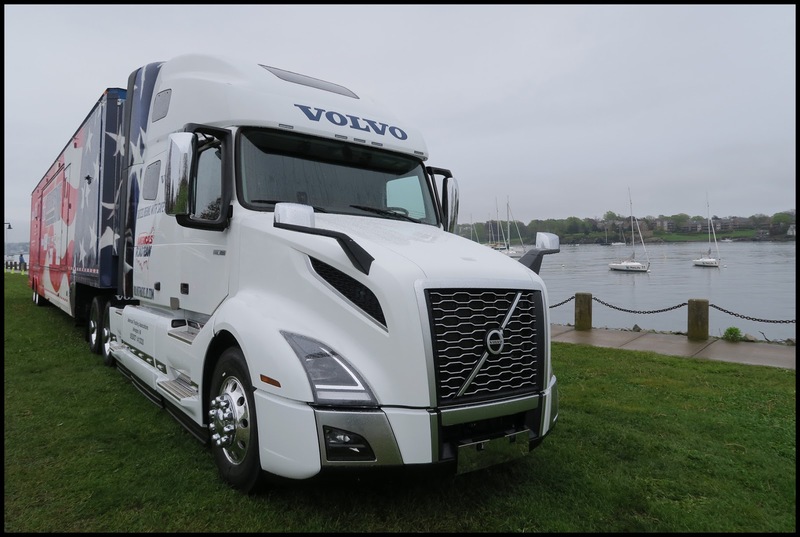 The new VNL 760 also features Volvo Enhanced Stability Technology and a Lane Departure Warning system. The new tractor is powered by a Volvo D13 engine and is equipped with a 12-speed Volvo I-Shift automated manual transmission. 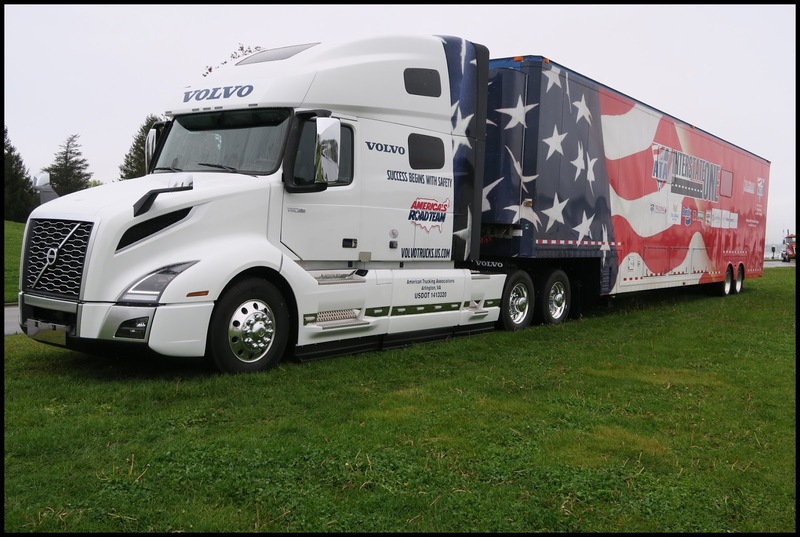 Volvo’s connectivity services, Remote Diagnostics and Remote Programming, supported by Volvo Action Service agents, help maximize uptime.